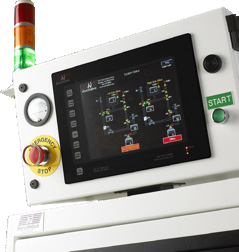 The Power Purge V controller is a state-of-the-art system designed for continuous monitoring of safe delivery and purging of UHP process gas systems. The Power Purge V provides the operator with intuitive, easy-to-use touch-screens and on-screen prompts to simplify the operator interaction with the machine. The graphical interface allows an operator to quickly determine the status of the tool with a glance at the screen. The panel buttons and on-screen menus offer easy access to any of the controller screens. The Panel Purge V controller provides extensive configuration abilities to the user. The multilevel pass code limits authorized individuals to accessing protected functions, such as the configuration screens. The configuration screens allow the user to configure all aspects of the tool, including alarm inputs and responses, set points, timers, purge cycles, and auxiliary inputs and alarms. The system includes various purge routines for system purges and cylinder change-out in manual mode. 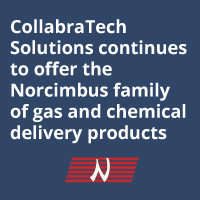 The fully configurable nature of the controller makes it possible to configure the system to match a wide range of applications and requirements, including BSGS, gas racks, blending systems and bubbler systems.